Who we help Products About Blog What is Open Banking? We build the technology that makes Open Banking work. 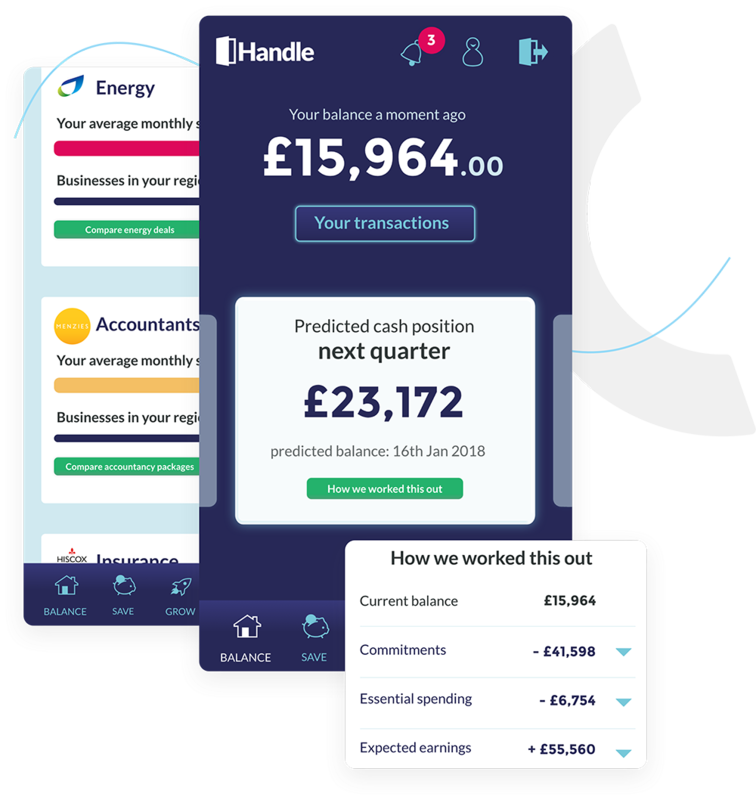 Our toolkit makes it easy for people to securely share financial information with the businesses they trust, so those businesses can deliver better, more personalised products and services. Help more people get the money they need. 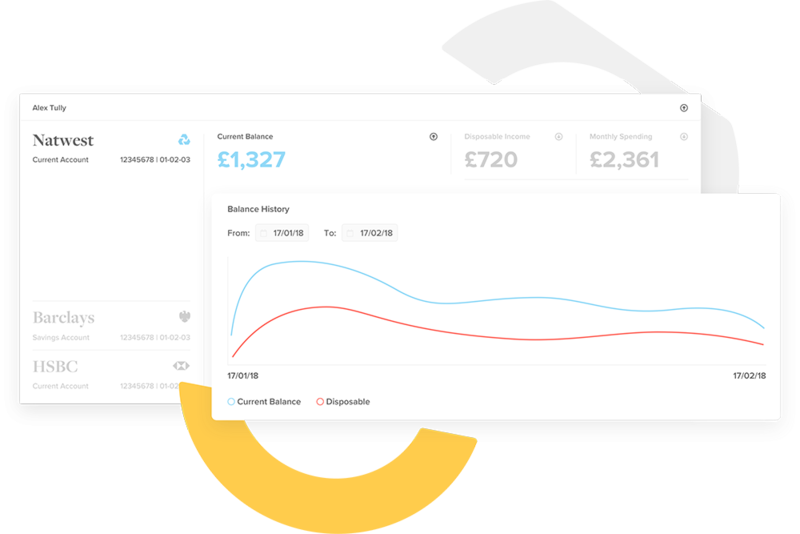 Easily verify identity and make faster, more accurate and tailored lending decisions for every customer. Remove the stress of debt with sustainable repayment strategies for every customer based on detailed, real-time and bank verified income and expense information. Help your customers take control of their financial future by powering your apps with real time spending, forecasting and budgeting tools via Open Banking. Allow your customers to securely and seamlessly connect their bank account to your business. Giving you real-time access to their banking data through our developer friendly API. As experts and practitioners in the credit, lending and collections industries, we understand the challenges your customers face and the practical, ready-to-use solutions you need to help them overcome those challenges. Got an idea? We partner with businesses like yours to help you deliver the completely new products and services your customers are demanding. 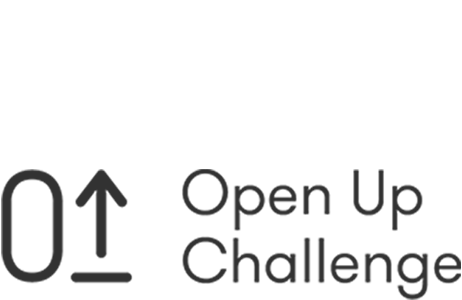 Our single, simple API lets you rapidly build your own solutions. 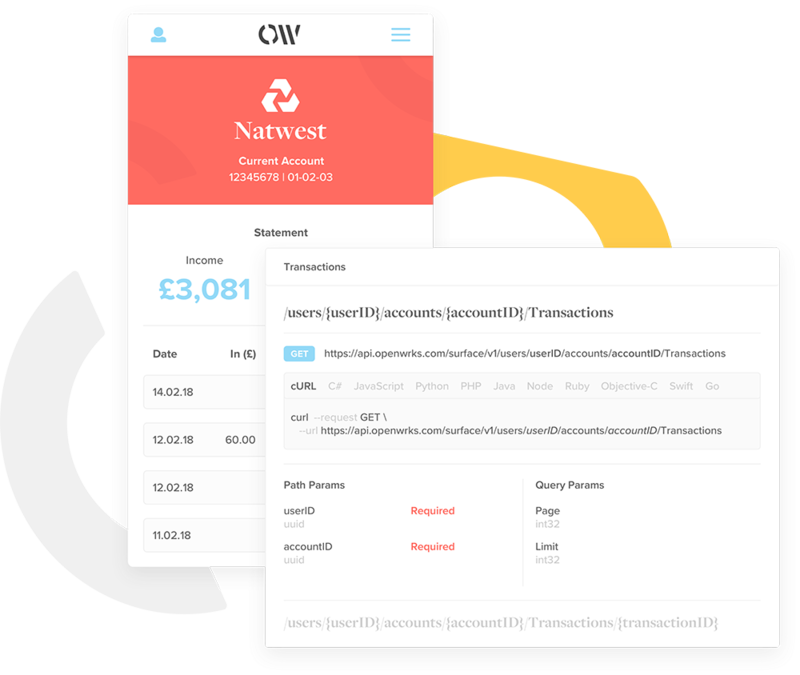 Using our sandbox you can start working with Open Banking data in minutes and our own developers are here to support you every step of the way. Ready to make Open Banking work? Fill in the form to see how OpenWrks could help you turn Open Banking into better products, services and a more personalised experience for your customers. 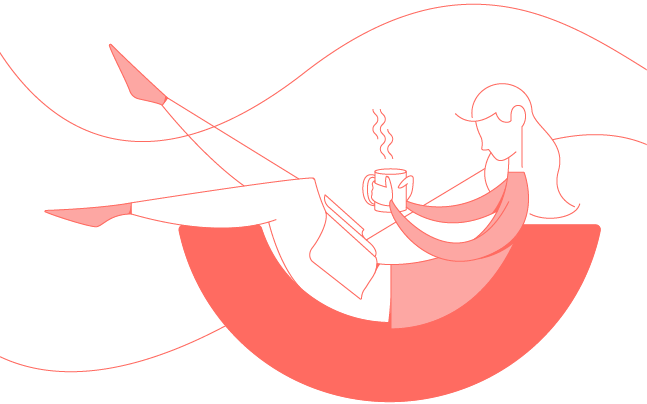 We’d love to send you the latest Open Banking insight, product updates and news from the Fintech coal face, if you’d like to hear from us simply check this box. How we got here Who are the participating banks How secure is Open Banking? What data will be shared? How do I provide or remove permission? What does AISP & PISP mean? Quickfire Open Banking FAQs Open Banking jargon dictionary What is Open Banking?